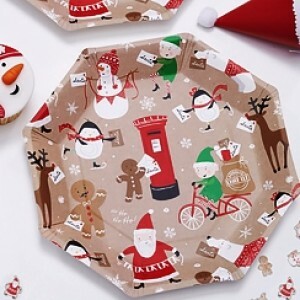 Enjoy a vintage style Christmas with these cute retro paper plates. They feature Santa, elves, reindeer, penguins and more on a brown background. The eye-catching octagonal shape makes these plates look extra-special – perfect for serving up Christmas day treats.